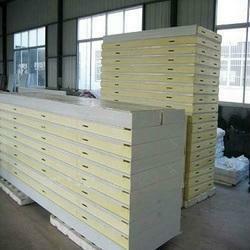 Polystyrene Sandwich Panel also called EPS Sandwich Panel. The top & bottom surface of this panel is Galvanized & pre-painted steel sheets, the core material is Polystyrene, it is formed by laminating and pressing with 2 components PU glue. The sandwich panel is featured with temperature keeping, hot & sound insulation, anti water and fire resistant. Alfaa Panels System Comprise of Pre-Fabricated Composite sandwich panels with high-density EPS Converted to Lamellar as core and profiled/ plain, color coated galvanized steel / Galvalume Steel sheet facing on both sides, complete with joints sealants and fixing ancillaries. For valued patrons, we are indulged in providing Clean Room Panels to the clients. 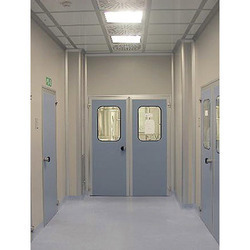 Clean Room Panels are widely demanded by respected clients. 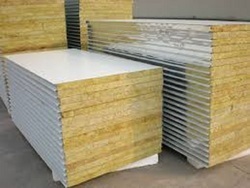 Our company has gained immense accolades in offering Rockwool Panel to the clients. Sandwich panels are produced in a continuous manufacturing process, The top and bottom coil (sheet metal) clamped onto the plants unwinding unit and fed into the machine. In the first step, corona system cleans both reverse sides of the sheet metal using high frequency to remove greases and dirt and to guarantee the best possible subsequent full spread adhesion between the foam and sheet metal, thereafter the protective films are rolled onto the outside of both metal sheet. 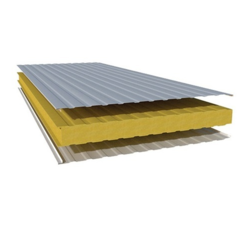 We hold expertise in manufacturing and supplying an excellent range of Rockwool Sandwich Panels. 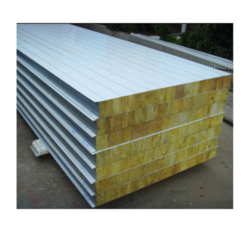 The offered sandwich panel is developed using high-grade galvalume steel, galvanized steel, aluminum, in compliance with international standards under the supervision of accomplished professionals. 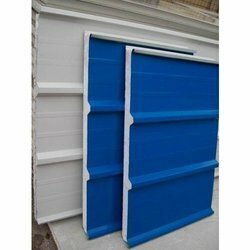 An offered sandwich panel used as the wall or roof for cold storage & industrial workshop. 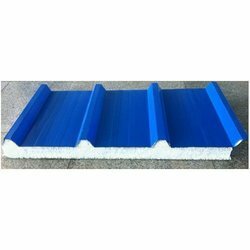 Patrons can avail this sandwich panel from us at nominal rates. World's Best Manufacturing Process with the continuous Production line for Sandwich PUF Wall Panel. Alfa Sandwich PUF wall panel has a load-bearing capability many times greater than the achieved by adding together the load-bearing capacities of the individual layers.As a result, these thin, relatively lightweight Alfa sandwich panels can safely bridge wide spans. 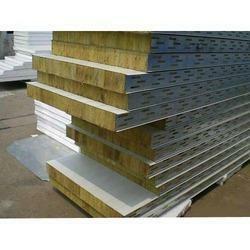 We are putting forth a moderate scope of Cam Lock Puf Panel for roofing, divider cladding and cold room walling. These boards involves two facings of generally thin metal sheet profiled of high quality encasing a center, which is moderately thick and light with obliged solidness. The facings are of aluminum or steel. Since, warming or cooling is one of the biggest working costs in a building. 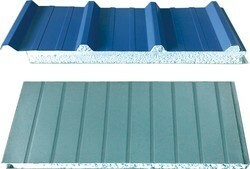 Subsequently it is critical that each one building has great warm protection that suits the utilization of the building. Cold Storage Insulated Panels offered comprise high performance based insulated panels for cold storages and provide for low heat conductivity. 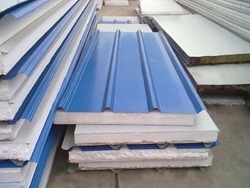 Insulated Roofing Panels, which can be used for building applications are a roll formed cladding sheet available in either steel or aluminum. The sheet can be used in a single skin application or as part of a twin skin facade offering a versatile solution for acoustic and thermal properties. Liner panels have one metal skin surface with polystyrene foam board adhered to it for better insulation. In the past 20 years, end-users, contractors, and consultants have become increasingly aware of the losses associated with thermal transmission. Alfa sandwich Puf panels come complete with specially formed tongue-and -groove joints ensuring a perfect fit and maximum integrity,Assembly is fast,easy and cost effective. The resultant Alfa sandwich puf panel has a load-bearing capability many times greater than the achieved by adding together the load-bearing capacities of the individual layers.As a result these thin,relatively lightweight Alfa sandwich panels can safely bridge wide spans. For Example,a panel just 100mm thick can easily bridge a clear span of some meters.